High seas crime becoming more sophisticated, endangering lives, international security, speakers tell Security Council at 8457th meeting. General Assembly adopts resolution urging Russian Federation to withdraw Its armed forces from Crimea, expressing grave concern about rising military presence at 56th plenary meeting. Security in the Black Sea and the Sea of Azov Region: The event was hosted by the Permanent Mission of Ukraine to the United Nations. Briefing by Volodymyr Yelchenko, Permanent Representative of Ukraine to the United Nations. 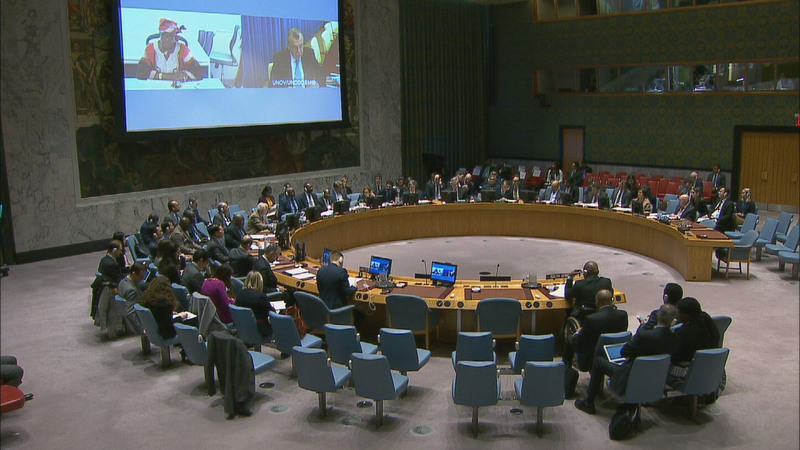 Top political official urges restraint from Ukraine, Russian Federation in emergency Security Council meeting on seized Ukrainian vessels at 8409th and 8410th meetings. Press briefing by Dmitry Polyanskiy, First Deputy Permanent Representative of the Russian Federation to the United Nations, on the situation in the Sea of Azov. Press briefing by European Union Representatives, on the situation in the Sea of Azov. Press briefing by Volodymyr Yelchenko, Permanent Representative of Ukraine to the United Nations, on the situation in the Sea of Azov.